Wanjiku is a keen observer of humanity. Her ability to capture the human condition – the inner turmoil that often is a result from societal pressure and superimposed stereotypes – couldn’t be more timely nor more universal. Similar to Wangechi Mutu, her work grapples with her internal challenges of being an independent woman and having society force expectations upon her. This series evolves from the original “straight jacket” series and takes us to a place that is deeply emotional and raw. I personally am drawn to “A fragment of Ourselves,” and “Let Slip the Reins VII” – both stunning examples of Beatrice’s abstraction and her ability to capture the active struggle for human independence and self-determination. 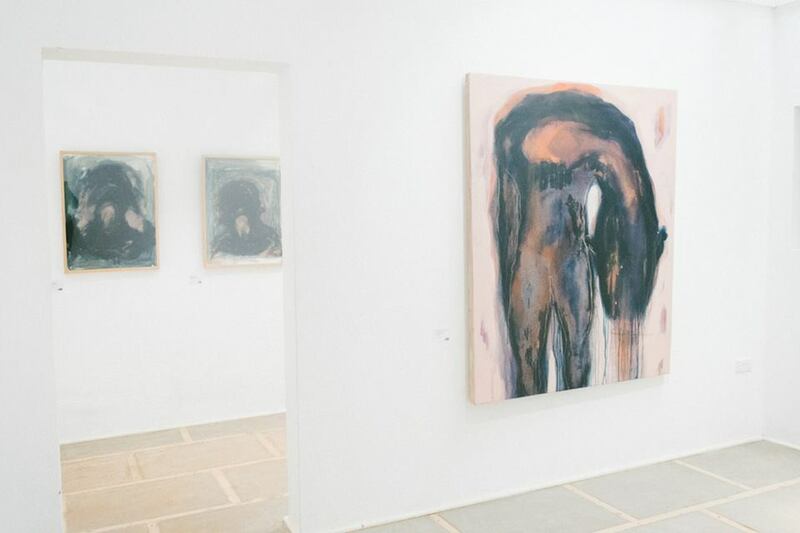 Beatrice Wanjiku’s distinctive canvases and works on paper probe the human condition, delving into the psyche to question notions of reality and positionality. 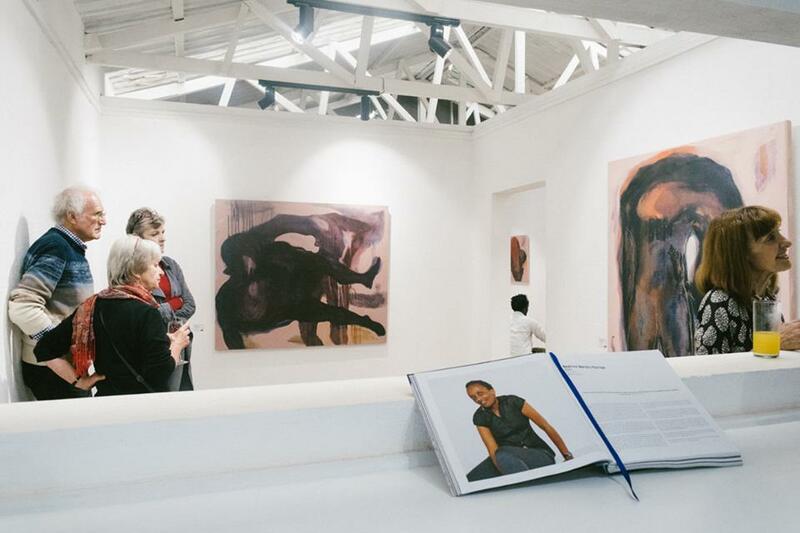 Taking her own experiences as a jumping off point for her investigations into existentialism, Wanjiku’s practice scratches away at the superficial images we project into daily life, peeling away the layers that constitute social norms to reveal spectral figures, Wanjiku believes represent our inner selves. Her wraith-like figures float away from their monochrome habitats, sometimes alone, sometimes clustered in groups, their form bleeding into further abstraction. A recent body of her work comprising paintings and collages, takes the motif of the straitjacket as an entry point into a wider exploration of social boundaries and regimes of thought. Some recent exhibitions include 1:54 New York (2016, The Armory (2016), The OSTRALE 2015, Dresden, Germany (2015) and Guess Who’s Coming to Dinner, Richard Taittinger Gallery, New York, USA (2015) curated by Ugochukwu Smooth Nzewi. 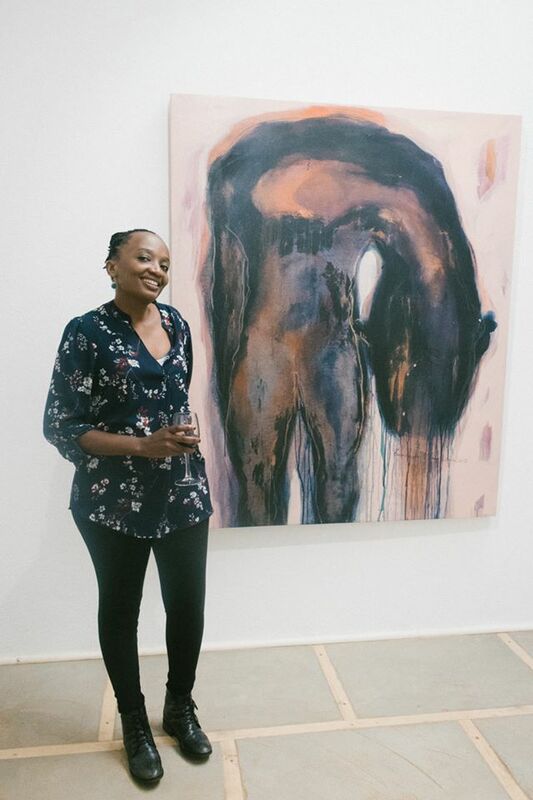 She is a recipient of the UNESCO Aschberg Bursary (2013); Lava Thomas and Peter Danzig Fellowship Award (2013); Robert Sterling Clarke Foundation Fellowship (2011); and Alliance Francaise’s and Goethe-Institut’s Most Promising Female Artist Award (2006). Her recent international artists’ residencies include the Iwalewa Haus Artist Residency Program, Bayreuth, Germany (2015), Djerassi Resident Artist Program, Woodside, CA (2013), and Vermont Studio Center Program, Johnson, VT (2011). “Mourning a Memory” is at One Off Gallery in Nairobi, Kenya, running through November 18th. You can also see the show at Artsy. If interested in acquiring a piece from Beatrice, please contact us at montagueartadvisors@gmail.com.